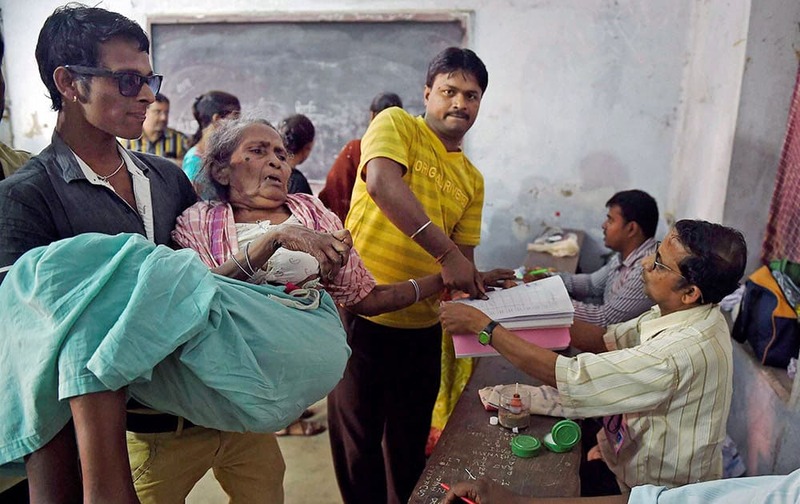 An elderly woman castes her vote with the assistance of family members and polling officers during the Municipal Corporation elections. Devotees dance during the Jagannath Rath Yatra or the chariot festival of Lord Jagannath in Jammu. 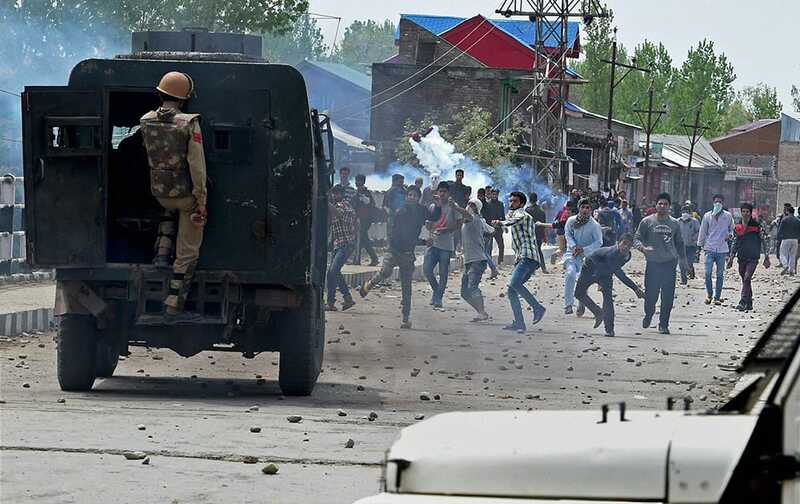 Police Personnel attempt to control the clashes which erupted after the killing of a youth in Narbal as angry protesters continue to pelt stones at them in Srinagar. 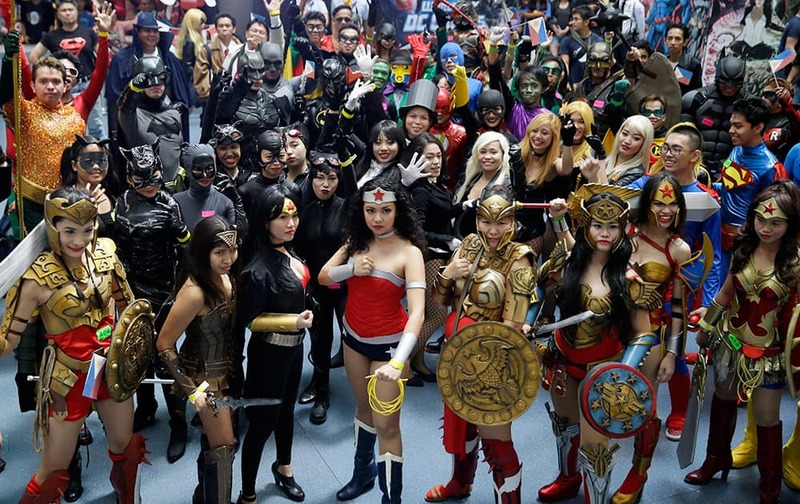 Filipino fans of DC comics super heroes pose at the country's largest shopping mall during an attempt to establish a world record for the most number wearing their costumes, at suburban Quezon city, northeast of Manila. 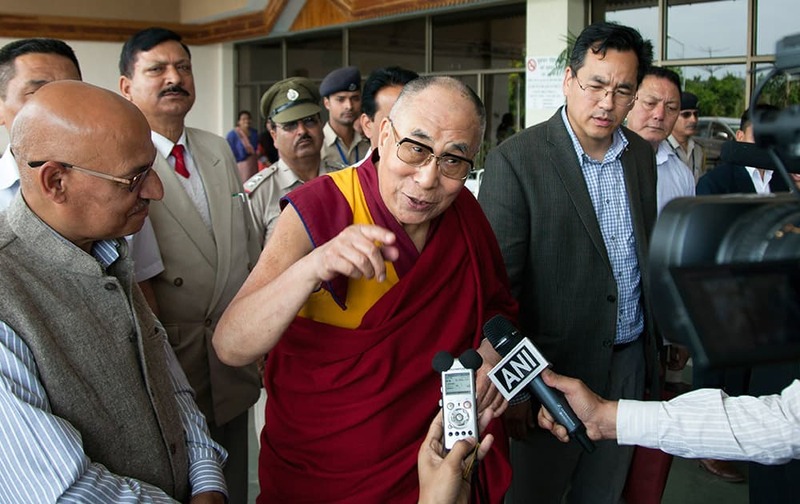 Tibetan spiritual leader the Dalai Lama speaks to the media as he arrives to receive Archbishop Desmond Tutu at Kangra airport in Dharmsala. 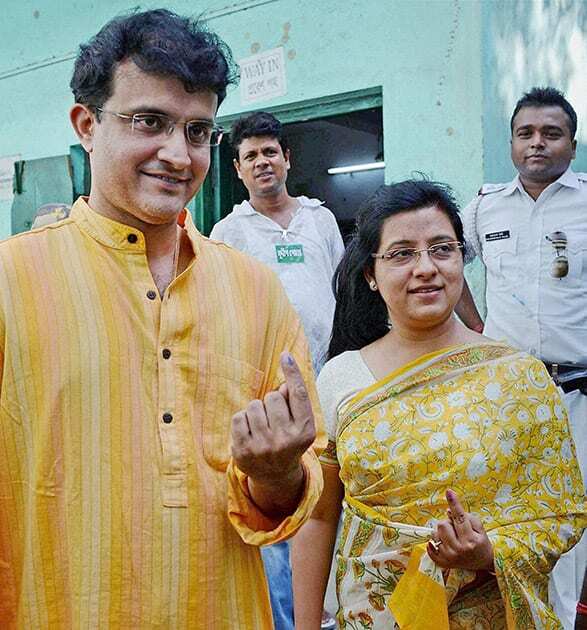 Former cricket captain Sourav Ganguly with his wife Dona Ganguly (R) after casting their votes during Municipal Corporation elections in Kolkata. 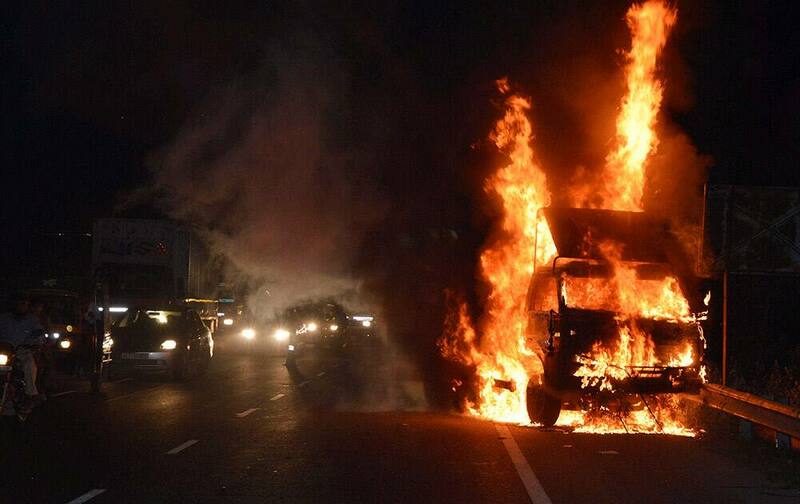 A mail van of the postal department caught fire on the Delhi-Gurgaon Expressway near Rajiv Chowk in Gurgaon. 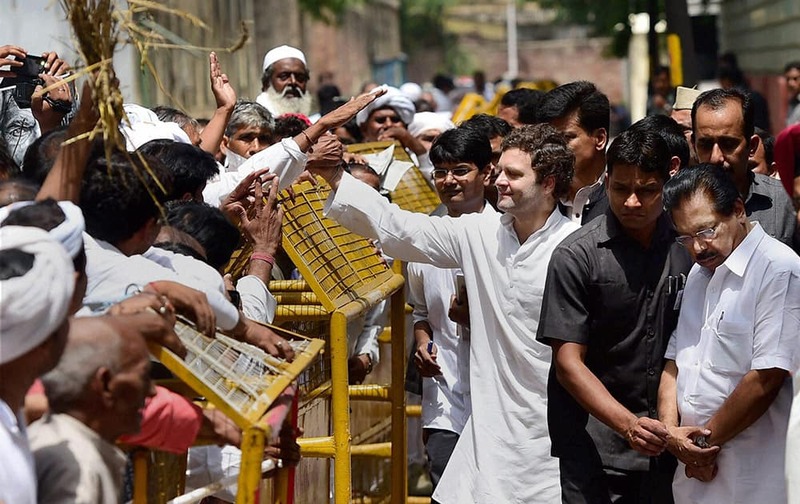 Congress Vice President Rahul Gandhi waves to the large number of farmers gathered outside his residence in New Delhi. 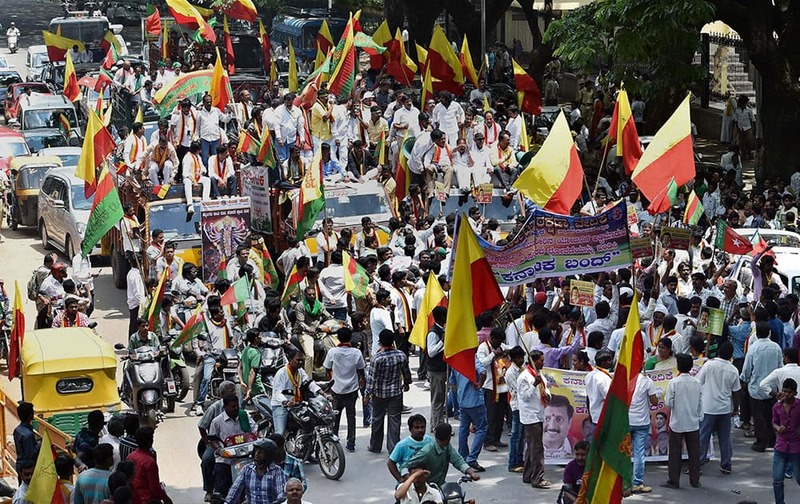 Kannada activists protest against Tamilnadu government during the Karnataka Bandh in support of building a dam at Mekedaatu, in Bengaluru. 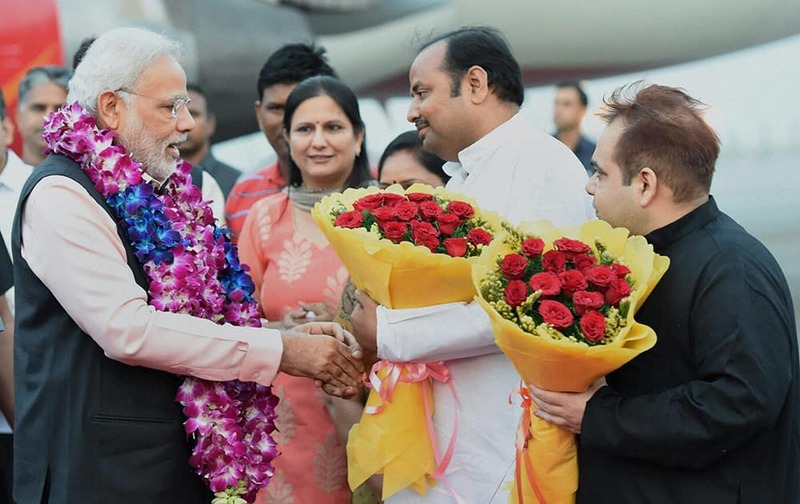 Prime Minister Narendra Modi being welcomed upon arrival after a three nation tour at Air Force station Palam, in New Delhi. 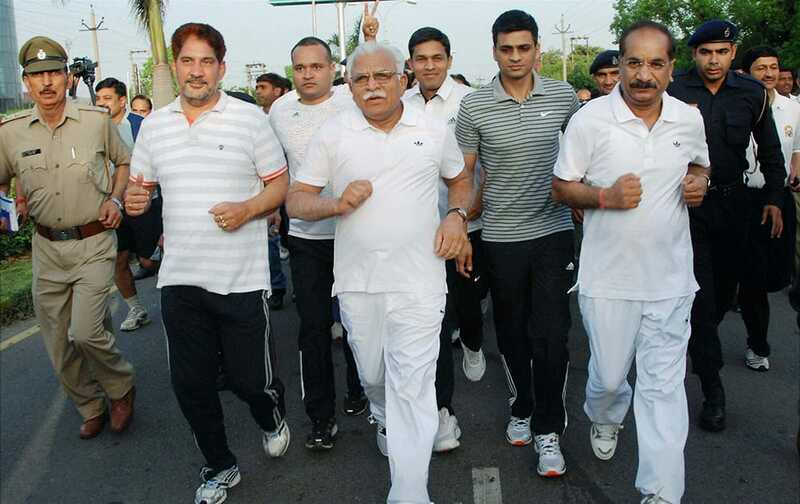 Haryana Chief Minister Manohar Lal Khattar, BJP State President Subhash Barala (L) and Director General of Police Y P Singal (R) participating in Panchkula Marathon 2015 organised by Haryana Police in Panchkula. 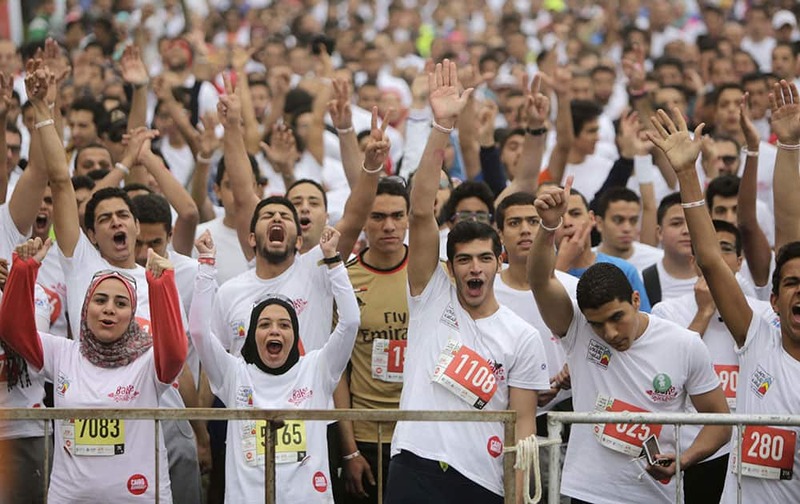 Egyptian runners warm up before they participate in Cairos annual Half Marathon in the Heliopolis district in Cairo, Egypt. 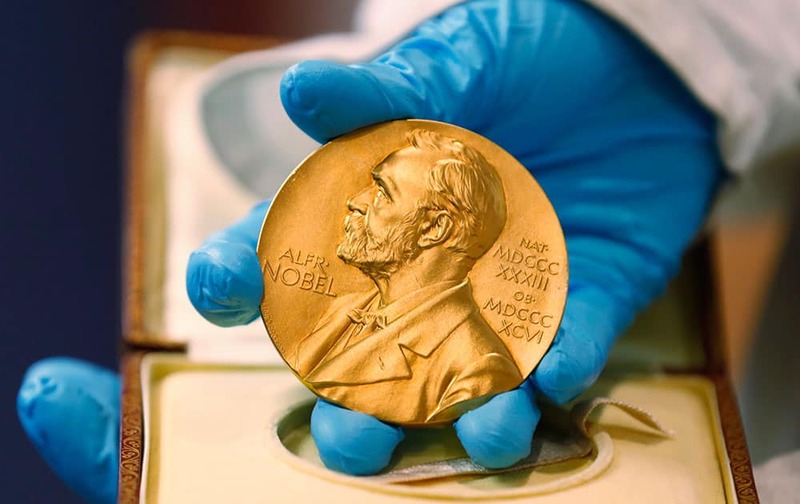 A national libray employee shows the gold Nobel Prize medal awarded to the late novelist Gabriel Garcia Marquez, on display at the National Library in Bogota, Colombia. 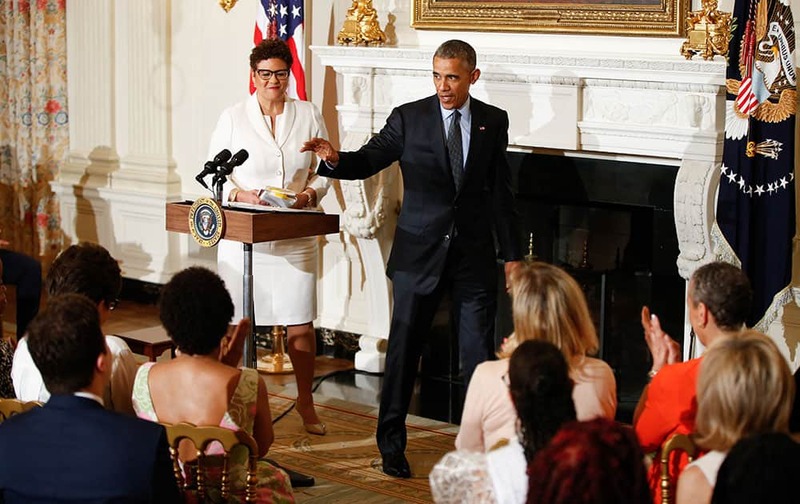 President Barack Obama departs after introducing poet laureate Elizabeth Alexander for a poetry reading in the State Dining Room of the White House in Washington. 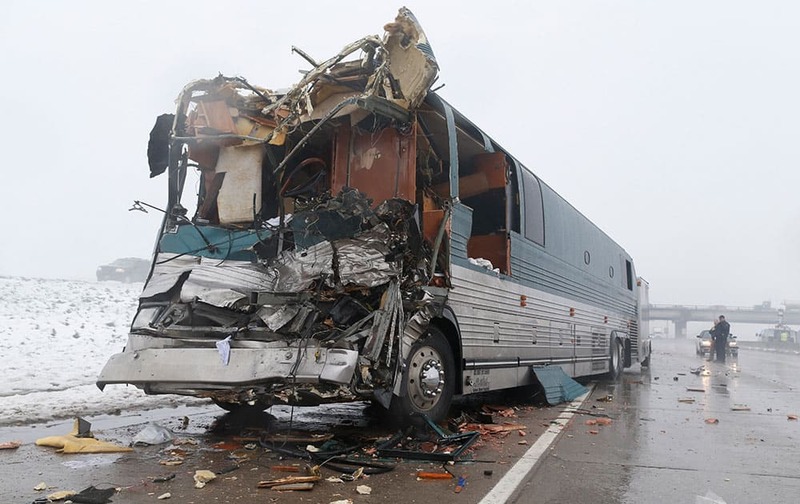 Investigators look over a tour bus involved in an accident with a tractor trailer, in Aurora, Colo. At least 11 people were injured, two of them critically, in the four-vehicle wreck that shut down Interstate 70 for several hours during a spring storm packing heavy rains and fog. First lady Michelle Obama and Jill Biden meet with Vet Center clients and staff during a visit to the facility in Silver Spring, Md. 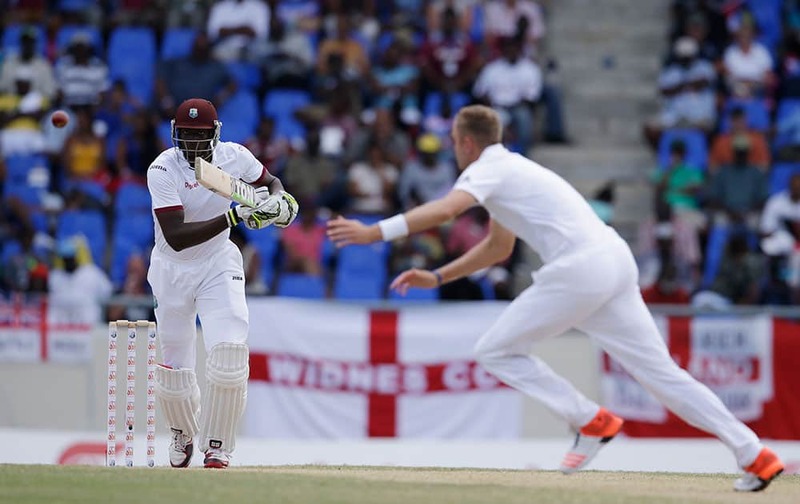 West Indies' Jason Holder, left, plays a shot from the bowling of England's Stuart Broad, during the last day of their first cricket Test match at the Sir Vivian Richards Cricket Ground in Antigua, Antigua and Barbuda. 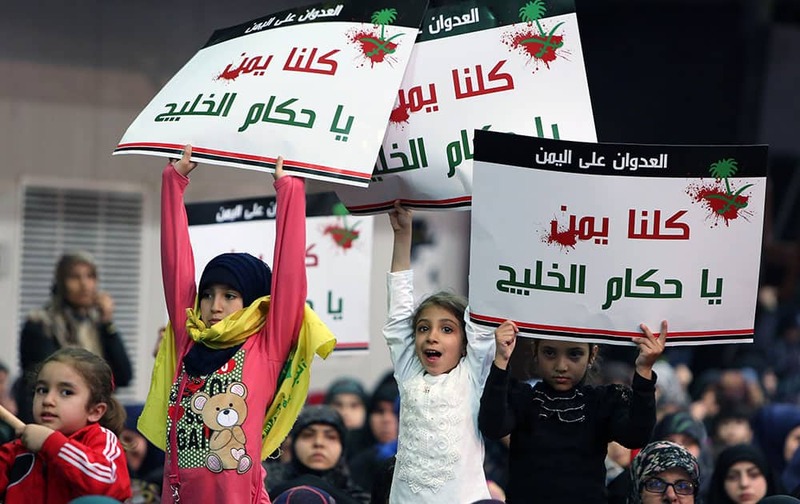 Lebanese children hold up placards in Arabic that read 'we are all Yemen, oh Gulf rulers,' as they listen to Hezbollah leader Sheikh Hassan Nasrallah during a rally titled 'in solidarity with oppressed Yemen' in the southern suburb of Beirut, Lebanon. 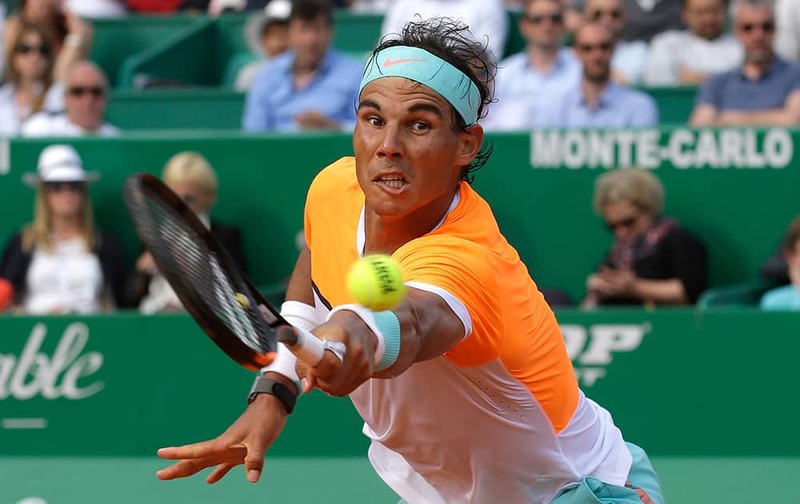 Rafael Nadal of Spain plays a return to David Ferrer of Spain during their quarterfinal match of the Monte Carlo Tennis Masters tournament in Monaco. 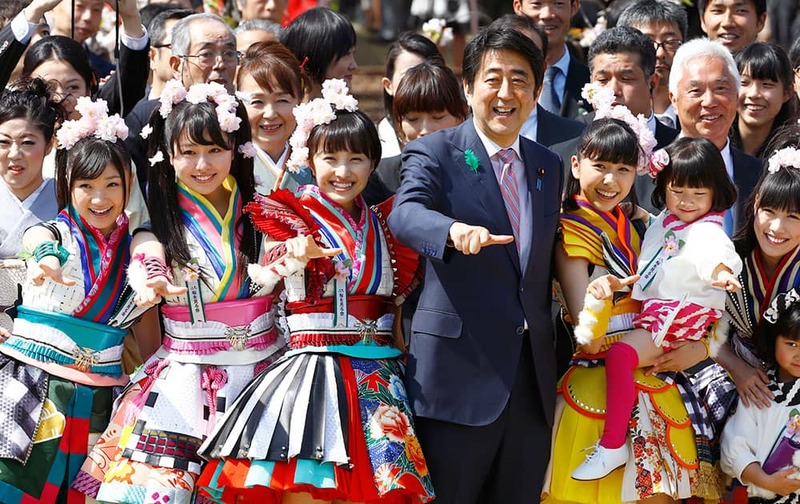 Japan's Prime Minister Shinzo Abe strikes a pose with members of Japan's girl pop unit 'Momoiro Clover Z' during the annual cherry blossoms viewing party hosted by Abe at Shinjuku Gyoen National Garden park in Tokyo. 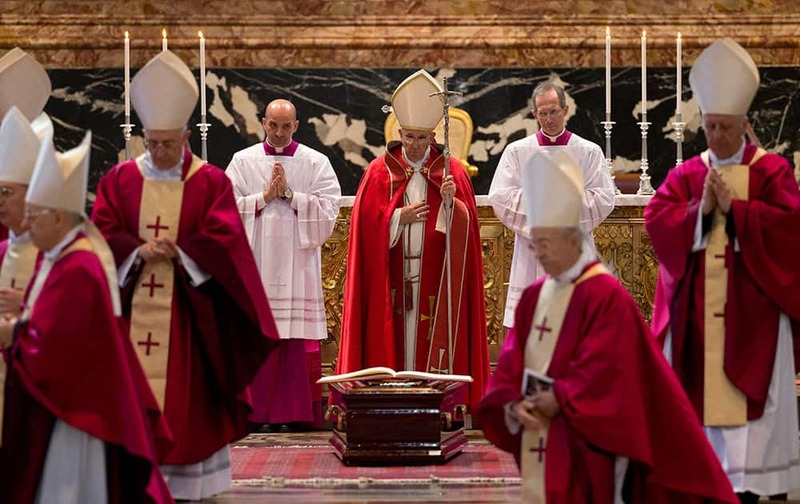 Pope Francis presides the funeral service of late Cardinal Roberto Tucci, in St. Peter's Basilica, at the Vatican. 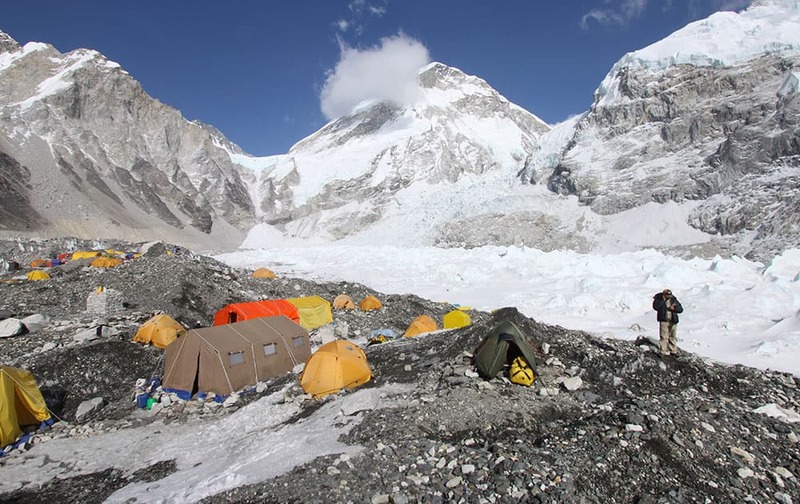 A Nepalese Sherpa guide tries to make a phone call at Everest Base Camp in Nepal.